Board evaluations are a development opportunity for companies of all sizes. Conducted effectively, they can be a powerful catalyst for change, continuous improvement and constructive feedback – rather than simply a compliance activity. They are a valuable process for improving both board performance and corporate governance. Board evaluations enable the board to consider the effectiveness of their decision-making and whether they have the right balance of skills to operate strategically and adapt to the ever-changing business environment. External evaluation brings independence and objectivity, while avoiding the potential for complacence or “group think”. An external facilitator has the experience to know when to probe issues rather than simply accepting them at face value. For sensitive topics, the involvement of an experienced facilitator is more likely to achieve a resolution. Other benefits of external evaluation include access to a wider range of evaluation tools, time efficiency and compliance with the Corporate Governance Code. The UK Corporate Governance Code* requires that FTSE 350 companies conduct an external evaluation of the board, its committees and directors every three years (comply or explain). While not a requirement for unlisted companies, board evaluations are nonetheless a powerful mechanism for continuous improvement and monitoring important aspects of corporate governance. By assessing areas such as board effectiveness, corporate governance frameworks and risk management, the long term interests of shareholders and stakeholders can be protected. 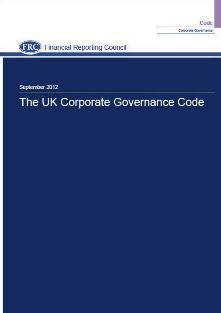 While the UK Corporate Governance Code applies to listed companies, it is equally appropriate for the majority of UK companies, which are unlisted. Board evaluations are planned in consultation with the Chair, Chief Executive Officer and Senior Independent Director. Our approach is facilitative and tailored to the needs of the organisation. For larger organisations, a rolling programme can be effective. For example, this might address the board in one year and the committees in the following year. In the interests of best practice, we use multiple methods, employing an appropriate balance of objective and subjective techniques. The pros and cons of different approaches are discussed at the planning stage so that the review can be tailored to the needs of the business.The information gathering stage includes a survey, interviews and evidence gathering. A comparison of information obtained from surveys, interviews and evidence-gathering provides the basis for our analysis and board evaluation report. A feature of our approach is that we always seek to corroborate opinions with evidence. Our aim is to provide a robust and objective snapshot of the performance of the board, its committees and its individual directors. The purpose of the presentation is to share the findings with the board and to discuss an action plan which will bring about performance improvement at organisation, board and individual level. The board evaluation presentation is supported by a more detailed report and analysis of findings. and its individual directors has been conducted. whether they have any other connection with the company. performance evaluation of the chairman, taking into account the views of executive directors. It provides the opportunity for companies to create a virtuous circle of sustained improvement in board effectiveness based on regular assessment of past performance and the company's changing needs and circumstances. It introduces a new dynamic which companies can use to improve the quality of their corporate governance and secure competitive advantage.